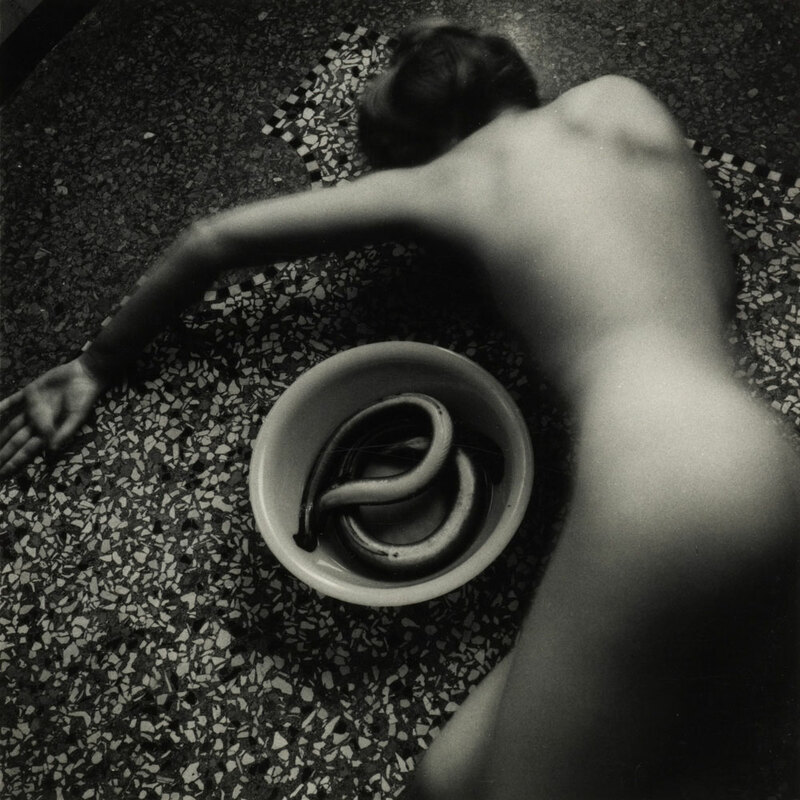 In May 1971, Artforum, bastion of late modernism, featured the work of a photographer for the very first time. On its cover and in a six-page spread, it announced the publication of a portfolio, A box of ten photographs, by Diane Arbus. In the words of the magazine’s editor, Philip Leider, “The portfolio changed everything...one could no longer deny [photography’s] status as art.” At the time of Arbus’s death, two months later, only four of the intended edition of fifty had been sold. Two had been purchased by Richard Avedon (the first for himself, the second as a gift for his friend Mike Nichols); another was purchased by Jasper Johns; and a fourth by Bea Feitler, art director at Harper’s Bazaar. 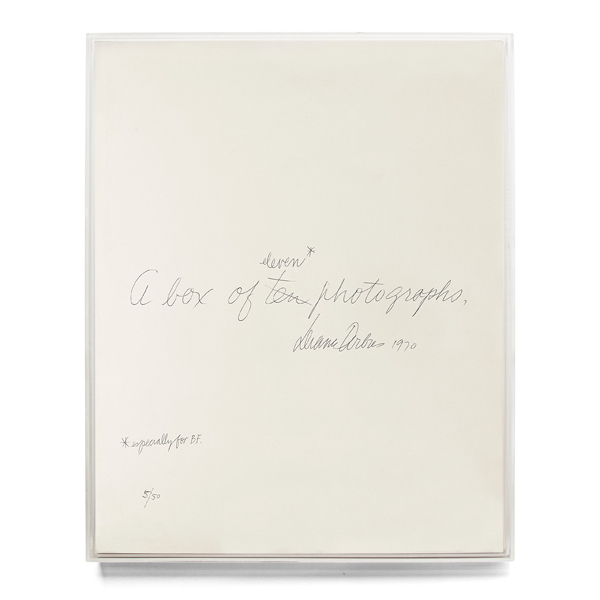 Arbus signed the prints in all four sets; each print was accompanied by an interleaving vellum slip-sheet inscribed with an extended caption. For Feitler, Arbus added an eleventh photograph, A woman with her baby monkey, N.J., 1971. Acquired by the Smithsonian American Art Museum, Washington, D.C., in 1986―and the only one of the four completed and sold by Arbus that is publicly held―that portfolio is the subject of an exhibition on view at the museum from April through September 2018. 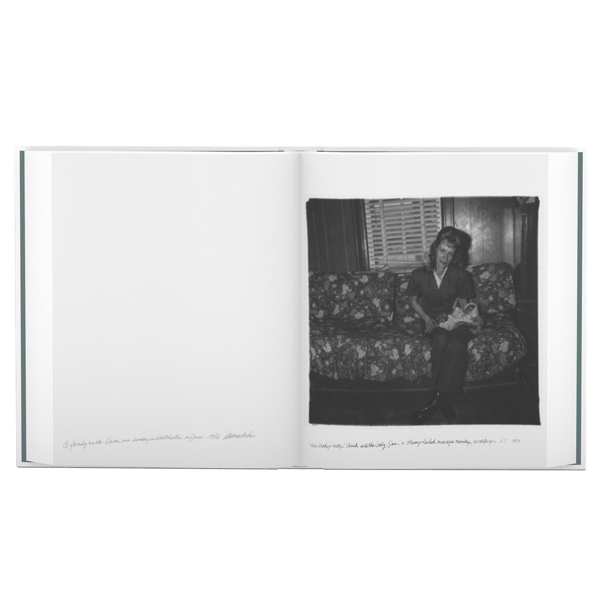 This exceptional book replicates the nature of Diane Arbus’s original and now legendary object. 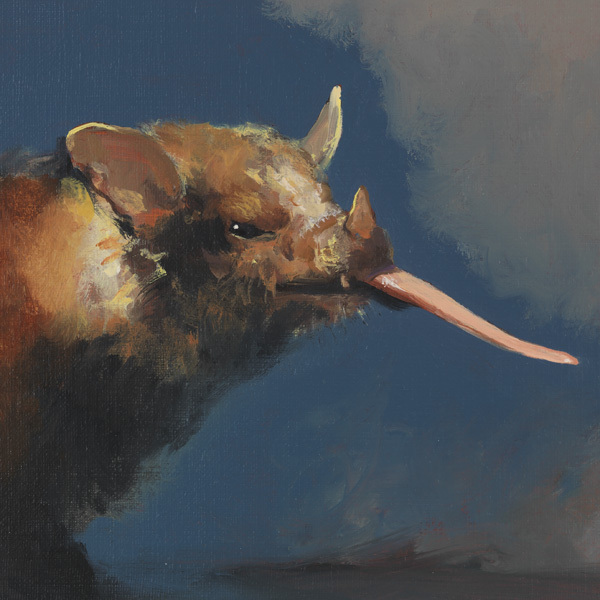 Smithsonian curator John P. Jacob, who has unearthed a trove of new information in preparing the book and exhibition, weaves a fascinating tale of the creation, production, and continuing repercussions of this seminal work.